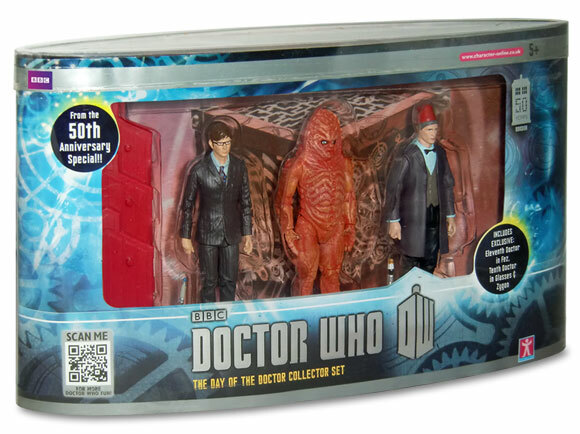 The Doctor Who Day of the Doctor Collector Set features 3 exclusive figures from the Iconic episode – Day of the Doctor! 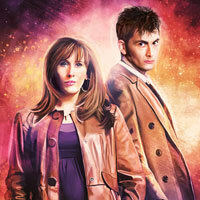 The Day of the Doctor was the fiftieth anniversary special of Doctor Who. 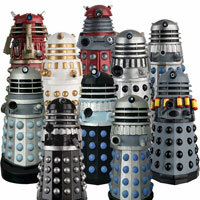 Twin Dalek sets look to be £4.99. Click the link above at the beginning of the article. I got this set the last one on the shelf so happy for 4.99 looked at dalek packs but as I have them all decked to leave them for now. 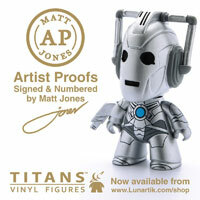 Ordered this yesterday at £9.99, just my luck! Oh! I got mine at £20, so at least you didn’t get it for that price. I was thinking about getting this the other day… Totally getting it now!!! What!? 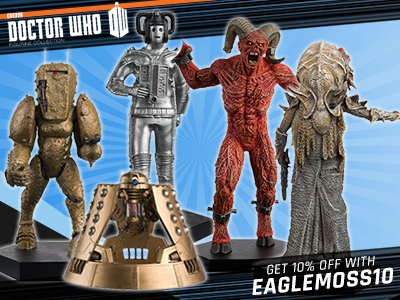 You may as well buy these as Zygon army builders and completely ignore the two Doctors at that price. Or customise them. Can Someone please answer this question. 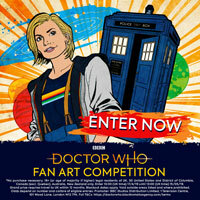 Does the paint come off of the 10th Doctor’s shoulders in this set??? No… The browny grey blackish paint isn’t meant to come off if it’s not the colour of his suit then that’s ok. If it is the colour of his suit then contact whoever sold it to you. I bought my set today on ebay for $70. Hope its worth it. Well im from the U.S. and there is no other way to get it but ebay. All ebay sellers that are will to sell it to the U.S. are selling it as an auction. Ow well nothing I can do now. A few Cybermats from Series 6b, some 33.75inch Skaldak figures and one remote control K9. And that was it. Just depressing. Your not alone Plymouth store is just as depressing! 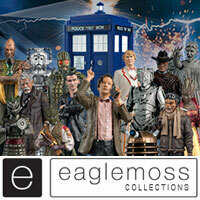 Hardly any Dr Who figures just a few 3.75 any one else store the same? 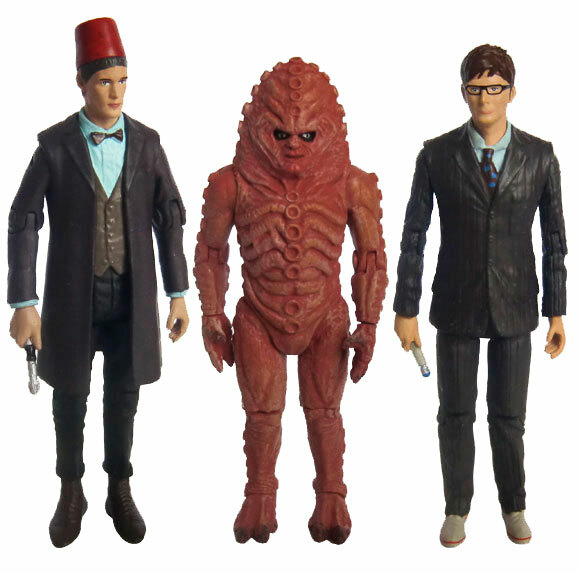 Anyone got a comparison with this zygon and the wave 2 one? I’m not sure which is better. The colour on this one seems closer but the eyes look strange. I think votesaxon07 did one. Yeah, I’m surre he did. Will I be pushing it a bit, to wait till Xmas to order? Shame Smiths head is different from above. Contanct TRU, you didn’t pay for a faulty product. Saw one with a Zygon’s hand missing in Toys R Us last week! Any review on YouTube yet? TRS Plymouth finally had these in today! Not many had to go through them all to find best paint job, some where truly terrible and most 11th Dr’s heads we’re loose! Dundee (Scotland) has a ton of these. Despite that when I called them on thursday they said they didn’t get any DW merch for weeks now and it’s possible they won’t get anymore. But I went today to buy some leftovers and surprise, they had loads of new stuff. Asylum sets, 3,75″ dalek sets, wave 3 figures (strangely, Capaldi hidden in the back rows, had to take down 10 boxes from the shelves to reach them), touch ctrl sonics and the really cheaply made dalek plushes. But I found a Hide playset and some Ice warriors hidden behind the new stuff! I was really tempted to buy this but I just bought the Caliburn house set for dirt cheap and the Tennant figure really looks like Austin Powers 😀 The body is fine but the trenchcoat version’s head is way better. Smith looks good, the hair is a bit strange but not distracting. can you put the other pictures back up of this set booboo so people can see what they are actually buying? Will this set be available to buy on eBay soon?? yeah for 30+shipping. Better order it from TRU directly. I can’t. I live in the US and they won’t ship to me. I thought there are TRU-s in the US too. Yes, there are ToysRus in the US but they don’t sell a lot of Doctor Who. 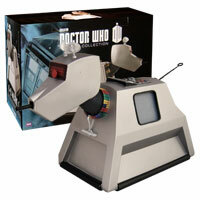 ToysRus here only sell DW mugs, few action figures, Tardis banks exc not a lot. 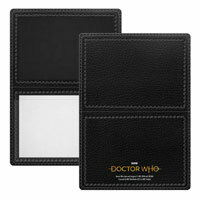 All DW stuff they do sell is online, none in stores. I checked out this set today in toys r us Portsmouth they had loads available. It’s a good set but beware ordering this set online as it’s very hit and miss on quality and paint jobs. I had to go through a lot to find a set that didn’t have any paint defects. If you want a good set its best to be able to see them first. I got this set before, it’s brilliant! I think my favourite figure is the Tenth Doctor. I want this sooo bad. Wow. 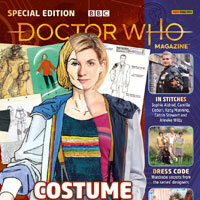 I thought this was gonna be in Forbidden Planet? I really fancy getting this set. Wow the Matt Smith head looks fantastic liking the new tenant. 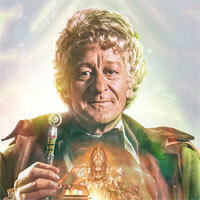 Also looks like the fez doc from series five. How much is this set? Yeah.. the image above is a mock-up. The set looks, basically, nothing like this.